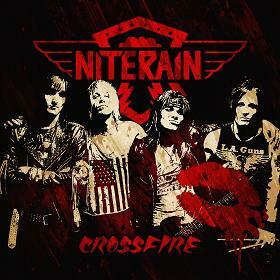 Crossfire by NiteRain a promising Glam/Sleaze band from Oslo. Overall a good enjoyable album. I don't think they'll win any awards for lyrical quality but it's sleazy and it's fun. 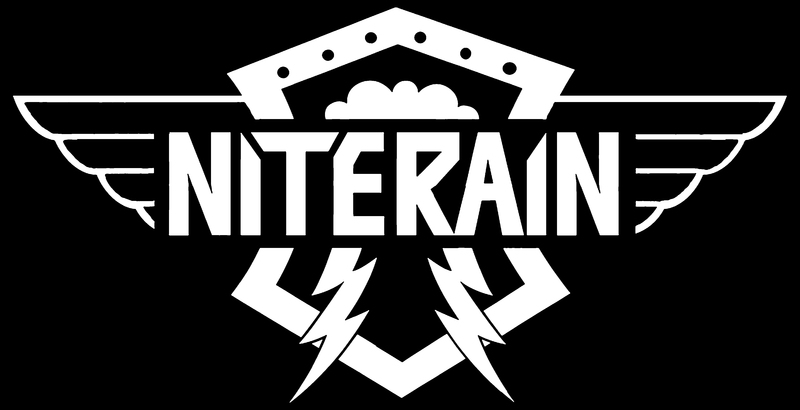 NiteRain a promising Glam/Sleaze band from Oslo, Norway released their début album NiteRain last month. The idea for the band came from singer Sebastian (Baz) Tvedtnæs back in 2006 and he joined forces with a classmate. However the band really started out in 2010 when Frank and Morten joined with Adrian joining in 2012. Baz reminds me a little of a young Donny Tourette and NiteRain have the attitude and swagger of early Towers of London. With over ninety gigs in twelve countries touring with the likes of L.A.Guns NiteRain have already cut their Sleaze Teeth. 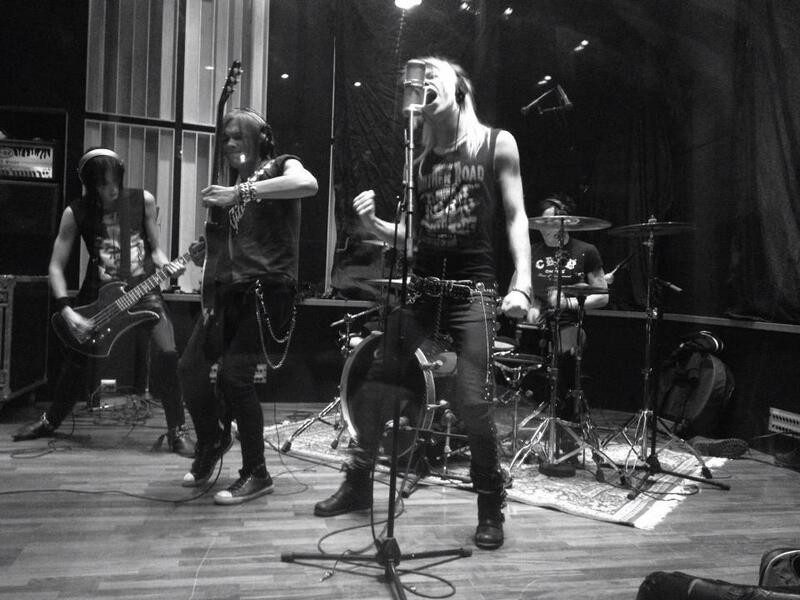 The album released on Niterain Enterprises was recorded in collaboration with TNT frontman Ronni Le Tekrø. The first track Bad Girl is a great Sleazy number reminding me of early Crue. Baz has the perfect voice for Sleaze numbers a cross between Vince Neil and Lizzy DeVine (Vains of Jenna). Packed with some Crue style riffs this was a fun track ending with a dirty laugh which led nicely into Dirty. Opening with ‘Do You Want it Dirty or What?’ I immediately thought of Talk Dirty to Me by Poison but also picked up flavours of Pretty Boy Floyd. Somebody Get Me A Doctor started with the beeps of a life support machine leading into great riffs and drum beat accompanied by ambulance sirens. Ending with the beeps fading out – I initially thought the battery was going on my phone! Run Run Run reminded me a little of Shake Me by Cinderella. The penultimate track Playing The Game contained the lyrics ‘I was born in the Crossfire’ and I’m thinking this must be where the album title came from. More great riffs in this one. Finally we came to Judgement Day, the final track. Starting with a Phantom of The Opera style organ and screams and mention of a Night Train or was it NiteRain! The one was like a cross between Alice Cooper’s Welcome to my Nightmare and Guns n Roses Night Train before ending in thunder claps and rain. Overall a good enjoyable album. I don’t think they’ll win any awards for lyrical quality but it’s sleazy and it’s fun just like their Scandanavian counterparts Reckless Love. I hope to see NiteRain at a venue near me soon!